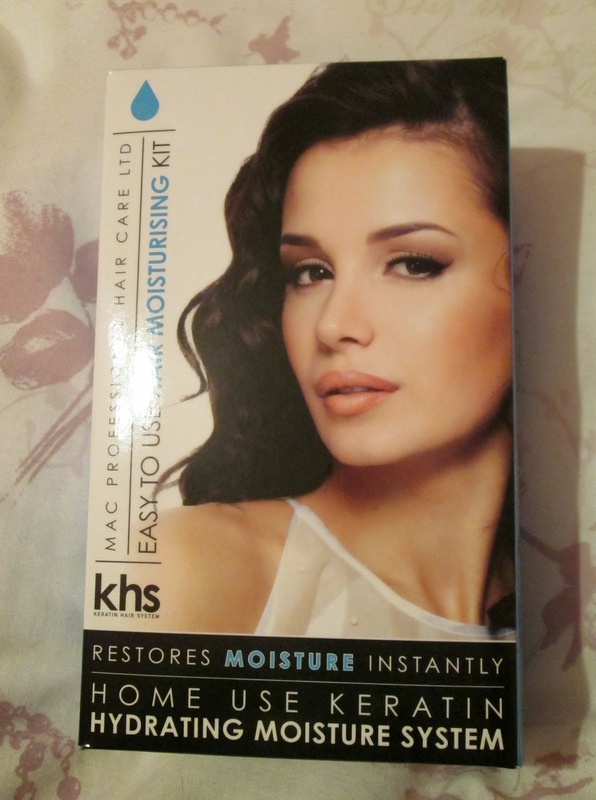 A product I've been really excited about trying for a while is the KHS Mac Professional Home Keratin Hydrating Moisture Kit. I brought on a little stall from Clothes Show Live a month ago but had actually forgotten about it until now. Since my hair wasn't extremely damaged and just a little dry around the ends, the sales person advised me to buy the moisturising kit instead of the kit specially for damaged hair. For all of you that don't know, Keratin is an extremely strong protein which is a major structural component in our hair strands. The perfect way to describe it is that's similar to the bones in our body, without it we'd just be limp and lifeless. These keratin kits help restore the structure of our hair after the harsh chemicals in hair dyes have stripped the keratin out. The kit comes with 3 little bottles for 3 different stages. Step 1- Clarify: Apply the Shampoo to wet hair and gently massage into hair. Rinse throughly and repeat process. Do not rinse out step 2. Step 3- Rinse: Apply 1/2 bottle of the moisturising system (bottle 3) over the top of Step 2. Leave to develop for 10-20 minutes. Rinse throughly, blowdry and style hair as normal. 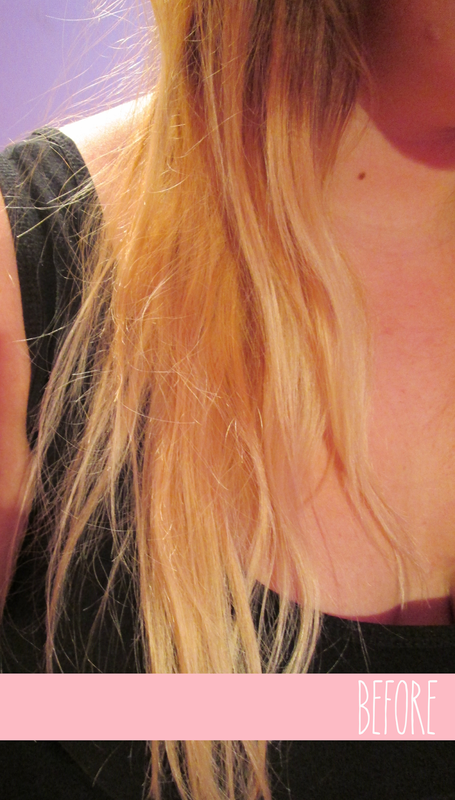 As you can see from the pictures above, there is a massive difference to my hair. To start with my hair was quite dry and I found that a few hours after showering, my hair already looked weak and lifeless no matter how many products I put on my hair so I was really impressed with the after photo and how soft my hair looks. My hair now feels healthier and actually has a shine to it as opposed to just being really dull and limp. 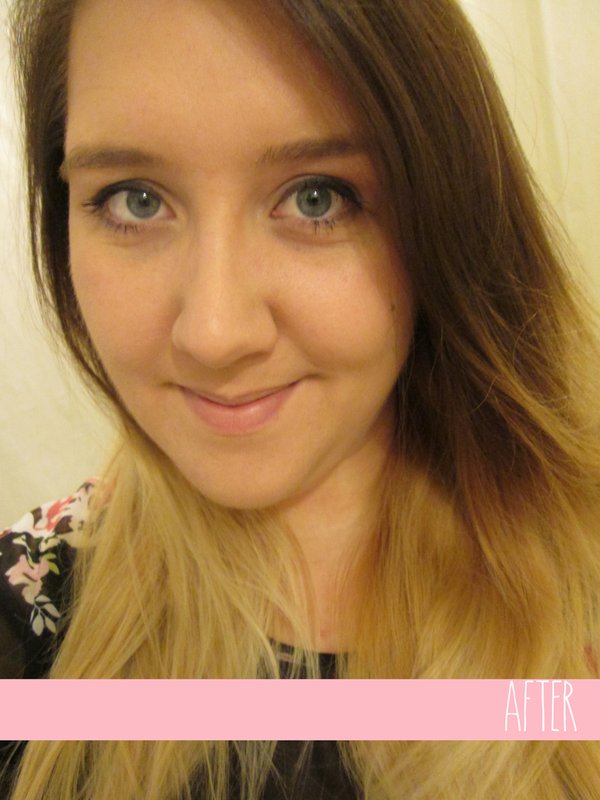 I'm really impressed with this kit as it had made such a great improvement on my hair condition. It was really easy and simple to follow through and no extra equipment was needed. Since I brought from the Clothes Show, I'm not sure where they are sold but I did find a website that sells this kit for £15.99 (link here) which I think is a reasonable price. I paid £8 for mine as the sales person gave me and my friend a "deal". Although I'm not sure if I would go through the hassle of ordering myself another one of these kits, but I would definitely be on the lookout for any other Keratin treatment kits as I love the way it's made my hair feel and really made me realise how much I should take the time to look after my hair.